29-year old Grandmaster Arkady Naiditsch is ready in future to play not for Germany, but Azerbaijan. This was revealed by German journalist Stefan Loeffler in an article in the Frankfurter Allgemeine Zeitung. The two sides are due to sign contracts at the end of this week. 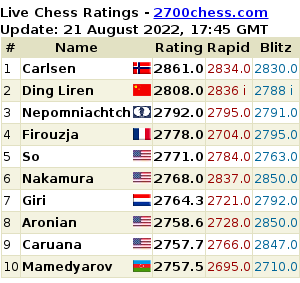 Previously, the German Federation website already announced the news of the loss of their top-rated grandmaster. According to our information, it is still too early to speak of the transfer as an accomplished fact, but it may be that only formalitiies remain. Naiditsch was born in Riga and his family moved to Dortmund when he was 11. Since 2005, he has been a German citizen. He has played on top board for them in many team events and in 2011 led the German team to victory in the European Championship. At the time, he spoke in an interview with our website of his difficult relations with the federation. 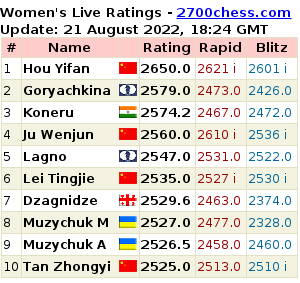 "The main conflict is that the federation does not give much support to top chess in the country. Players rated 2000 get a lot, but the leaders of the national team are not supported." Our source expressed doubts, but one way or the other, it is clear that a conflict exists and Naiditsch has not always turned out for the national team (although he is not the only one). Loeffler reports that the German federation is not desperately upset at the latest turn of events. In addition, for the transfer, the Azeri federation must pay 50 thousand Euros to the Germans. This is the compensation fee set by FIDE rules, if a player rated over 2700 switches federations without waiting for two years.